Race day packet pickup: At Finz beginning at 8:30. Same day registration is $30. Make checks payable to "Friends of NEC." Donations also accepted. Parking: Please park at the garage at the corner of Congress and Derby Streets. Pickering Wharf is private and they will be closed to parking until 11 AM. Costume contest: Entrants should go to the judging table at Finz at 9:30. Grievance contest: Submit your grievance prior to the race. Forms will be on the bar at Finz where they will be collected at 10 AM. Izzy Mandelbaum Push-up Contest: Register at the registration table for $10. Forms must be turned in by 11:30 to enter. Bathrooms: First floor of Finz and at the start at the Maritime National Historic Site. If you would like to make a donation, click the button below. Remember to check "Festivus 5K for Autism." Enter the name of your fundraising team in the Comments section. 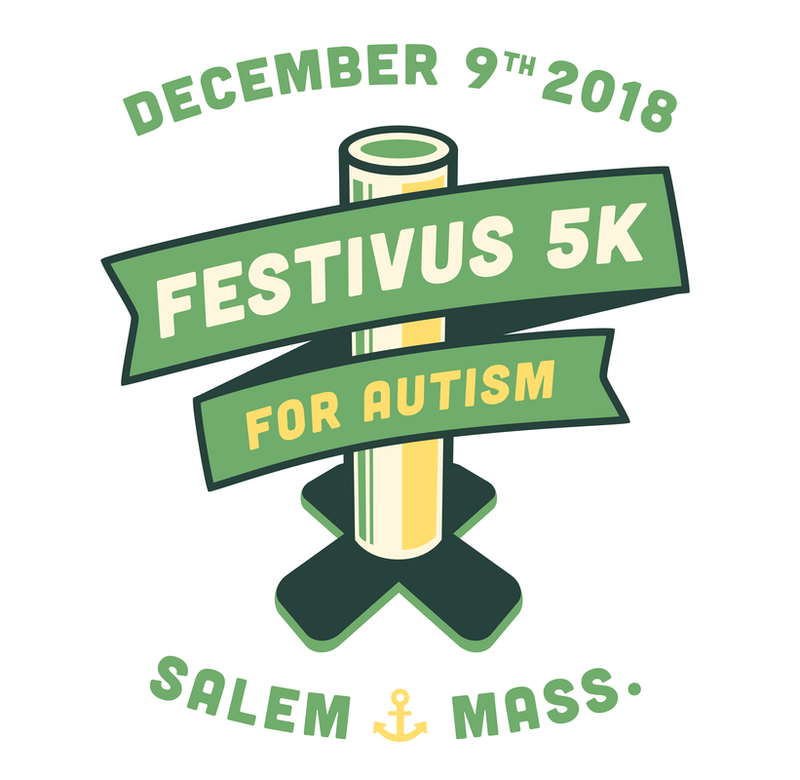 Festivus 5K (F5K) for Autism is a yearly Festivus-themed holiday race through historic Salem, MA. The event is sponsored by Friends of Northshore Education Consortium and hosted by Finz Seafood & Grill. To date, F5K has raised over $80,000 to help children with autism and their families. The 2018 race will raise money to help the ﻿Northshore Education Consortium ﻿of Beverly, MA educate students with autism.